Being overweight is the most common medical problem of this decade with as many or more collateral health risks as people who smoke or use tobacco. 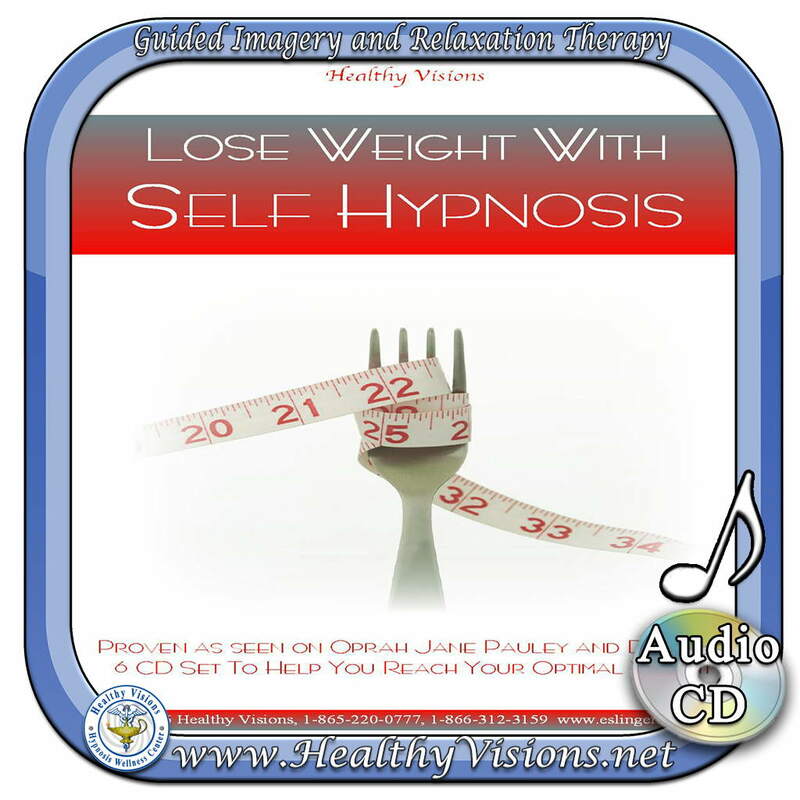 Hypnosis is proven to be a wonderful tool for working with obesity, however living in a culture that wants fast everything creates a problem for those who want hypnosis today and to be twenty pounds slimmer tomorrow. Overweight and Obesity is a national public health crisis, and the problem is getting worse. In 2009 East Tennessee reported that 20% to 24% of the population was greater than thirty pounds overweight. In January 2012 that number rose to 49%. Unhealthy weight leads to a greater risk for several chronic diseases including heart disease and diabetes. Regular physical activity and good nutrition can help promote healthy weight and prevent chronic disease. Developed for those suffering from high blood pressure, anxiety, pain and stress. There is no life without breath so breathe right in order to be healthier happier and more comfortable. This scientific evidence-based breathing exercise teaches the stress reducing physiological changes that take place in a proper abdominal breath. You will learn how to use this breathing technique to activate the production of your own endorphins, melatonins and serotonins from the brain; Endorphins to reduce pain, melatonin’s to enhance sleep and serotonin to elevate your mood. These hormones are also known as the pain killing and stress reducing hormones. My Healthy Treasure Chest is available for Free on iTunes and Google Play. You can go to HealthyVisionsApp.com from your Mobile Device to install My Healthy Treasure Chest. YOU DESERVE TO LOOK AND FEEL YOUR BEST! Long before Date Line was the TV Program and Tom Nicoli the Hypnotist, Capt. Ron Eslinger, USN Retired, Created THE OPTIMAL Weight Program for the Navy. It is proven effective with thousands to improve health, decreases stress, promote weight reduction and improve sleeping habits. So we created for you, the first of its kind CD that has you going to Sleep to the Sound of a binaural, biorhythmic wave which helps slow the heart to 60 beats a minute. To top that, we added a Hypnagogic Theta Cycle Tone to slow the brain allowing you the pleasure of entering the Delta Sleep Cycle and having a restful, energizing night’s sleep. End result is you get a restful, energizing night’s sleep! Every night! Subliminal Weight Loss Day and Night. 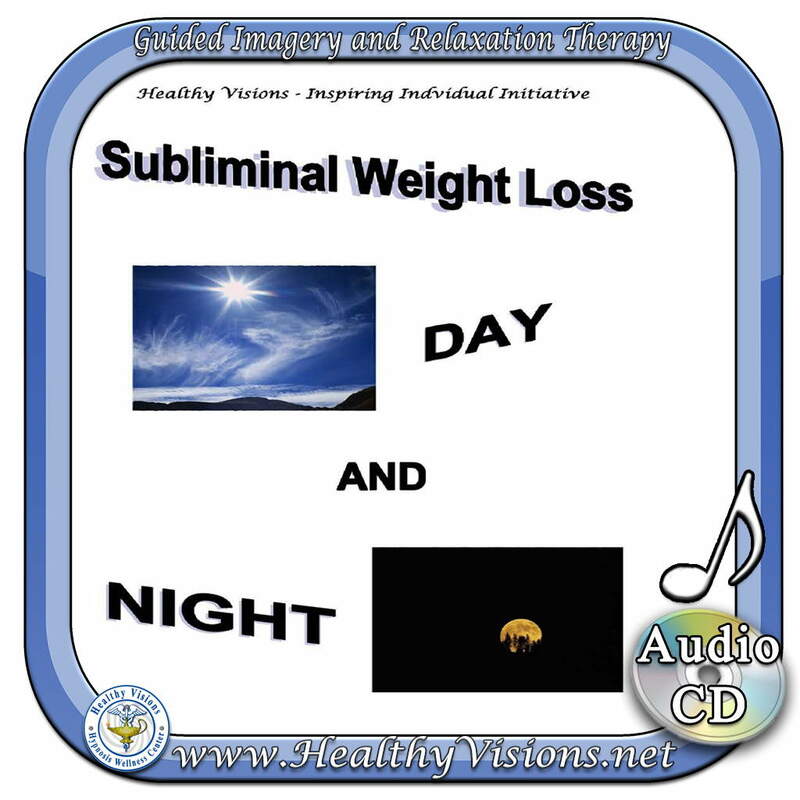 Day Time Subliminal Weight Loss – is a creation of upbeat music with underlying suggestions in a decreased volume and in a higher frequency. Included is an alpha tone to create calmness without inducing a sleepy state. This Audio Track is safe to play while driving or during other activities that require your full attention. It helps you create an atmosphere of calmness, which allows for the acceptance of suggestions for eating properly and sparingly and increasing daily activity to burn off calories. Night Time Subliminal Weight Loss – Research from the University of Tennessee Medical School showed that when sleeping, even in general anesthesia, the subconscious mind hears and responds to suggestions even thought there is no conscious memory of the suggestions. WEIGHT LOSS TRAINING WORK SHOP For Hypnotists. Nothing is left out of this program. Have the tools and knowledge you need to run a successful weightloss program using proven hypnotherapy techniques. This program will help adjust the mind to have a great attitude towards losing weight. Works great in conjunction with other weightloss programs (diet and excersise). But great results can be shown just using this program. If you are a personal trainer, work at a weightloss clinic, hospital or work with diabetics looking to give your clients or patients an edge on losing weight and keeping with a program this program will help you greatly! Also included in this program are some extremely simple methods to reduce calorie intake. Breathing is natural and automatic so therefore we do not have to consciously take in a breath. We can turn a deep chest rising breath into a gentle relaxing abdominal breath. Gently push your stomach out. One way to do this is to place your hand on your abdomen and gently push your hand out using the abdomen. As you do, you will notice that you automatically breathe in. This happens because as you push your abdomen out you pull down the diaphragm which creates a vacuum sucking in air. 1. The diaphragm drops down and the two lower lobes begin to open up filling with air containing oxygen. 2. The diaphragm stimulates the vagus nerve which travels through the diaphragm. The vagus nerve then activates anti-stress hormones which create relaxation and comfort. 3. Now gently take that abdominal breath again, but this time hold your breath for about three slow counts. By holding your breath you create a more efficient gasexchange between the carbon dioxide, a stimulant, and oxygen a relaxant. The breath out is twice as long as the breath in. The count: Breathe in for a count of three to five, hold for a count of three to five and out for a count of six to ten. A normal exhalation is twice as long as inhalation. Why hold the breath? Holding the breath allows for a more efficient gas exchange between carbon dioxide and oxygen, a key factor in decreasing anxiety attacks.  Trouble sleeping? Three breaths at bed time and you can fall asleep easily as you say to yourself “I am asleep” repeatedly.  Tension headache? Take the prescribed breath and imagine the oxygen flowing into your head. Breathing in relaxation and breathing out tension.  Improve your immune system? Research has shown that relaxing breaths decrease Cortisol (stress hormone) and activate the immune system. 1. When you take in less calories than you eat YOU LOSE WEIGHT. You can eat less and exercise the same and lose weight. You can exercise more while eating the same as before and lose weight. It is best to both exercise more and eat less to lose weight more quickly. If you burn more calories than you eat you WILL lose weight. 2. Eat a light breakfast soon after waking. Those who do not eat breakfast gain an average of one pound a year. 3. Eat six small meals daily or three meals and three healthy snacks. This keeps your metabolism up and helps maintain healthy blood sugar levels. This will help you take off about one pound a month or twelve pounds a year and feel much more energetic. 4. Start the day with sixteen ounces of cool water. This is a great boost to the metabolism and will take off a pound a month. That’s another twelve pounds a year. 5. Water intake on normal days should be one half your body weight in ounces. If you weigh 200 pounds you should drink 100 ounces of water a day. This is good for about one pound of weight loss a month or another twelve pounds a year. 6. If you eat as you normally do, but do not eat the equivalent of one cookie a day you will take off another pound a month. That decreases your calories by 150 a day and you will lose another one pound a month, which is another twelve pounds a year. 7. You know that walking is good for the heart – good for the soul, and very good for the waist line. A brisk twenty to thirty minute walk each day is another pound per month or twelve pounds a year. 8. Be careful of foods that are labeled light or fat free. They have increased sugar to maintain taste. Look for sugar free or no sugar added products. This is good for another pound a month. 9. Read labels – know what you are eating. You may be surprised at how easy it is to put something back on the shelf when you know how much sugar, carbs and fats are in it. 10. Stress reduction is so important for all around good health but in weight management it is essential. When stressed we crave sugar and salt, therefore beginning a stress management program for yourself is a major health savings benefit. Meditation, walking and listening to relaxing music are all great ways to relieve stress.